Bassist Charnett Moffett grew up in a musical family. Which is to say, his dad played with Ornette Coleman and the whole Moffett family band was touring the world when Charnett was a kid. 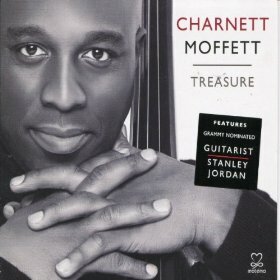 More than two decades later, Charnett is bringing that family history and his own impressive musical resume to bear on his new album, Treasure (Motema, 2010). In this interview, Charnett talks about the thinking behind this album; his childhood experiences and how they shaped the musician he is today; and his work with guitarist Stanley Jordan, who appears on Treasure. Learn more at motema.com/artist/charnett-moffett.